When it comes to health, there's a lot you can control. Every choice you make, from each bite of food you take to each hour you spend on exercise, sleep, or stressful activities, impacts how healthy you are and feel. But one piece of the puzzle we can't control is our genetic makeup. Many of our lifestyle choices can affect how our genes are expressed, but they can't change what we start with. But knowing how your genes work might help you lower your blood pressure. As you may know, our genes have a lot to do with a number of diseases and conditions. But you might be surprised at just how many genes are involved in some issues. In fact, researchers have recently discovered that more genes are involved in hypertension than they previously thought. And it's not just one or two more. In fact, researchers from Queen Mary University of London and Imperial College London have identified a grand total of 107 new gene regions that are involved in high blood pressure. To determine this, the researchers looked at blood pressure data and nearly 10 million genetic variants from 420,000 contributors to the UK Biobank. They came up with a genetic "risk score" that helped predict the likelihood the participant would have a stroke or develop coronary heart disease. The higher the score, the more likely the participant was to have high blood pressure by his or her 50th birthday. 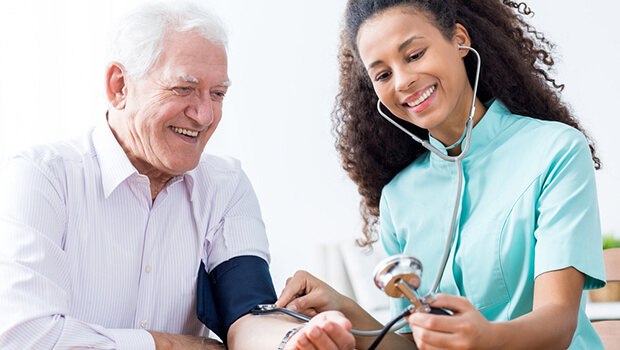 Those who had the highest risk scores tended to have blood pressure that was 10 mmHg higher than those with the lowest scores, increasing their heart disease and stroke risk by at least 50%. The researchers are hopeful that identifying these genes will help them develop new drugs that specifically target the affected regions. And they're hopeful that using these risk scores will motivate people to begin taking charge of their health at younger ages — in other words, by taking blood pressure drugs earlier and earlier. It's true that you can't change your genes and that having certain genes can increase your risk of developing high blood pressure. But taking drugs won't change your genetic makeup or how your body expresses them. I think it's much better to take charge of how your genes are likely to express themselves by changing your lifestyle than by taking drugs. You can do that by exercising and eating right. And if you're concerned that you will still develop hypertension (or you already have it), I recommend taking Advanced Blood Pressure Support. It's a natural way to promote healthy blood pressure and keep your heart and circulatory system functioning properly. Unlike many blood pressure drugs, it doesn't come with potentially dangerous side effects.